Are you ever confused by Matthew chapter 1? Check out this infographic showing the genealogy of Jesus, it should help clear things up. The mission to bring the Gospel to all nations won’t be completed without prayer. The Great Commission also won’t be completed without connection. Often times, what may hinder a brother or sister from signing up for a One Year Challenge is a fear that they are going about a One Year Challenge alone. Since they don’t know the brothers and sisters in another place, they feel that they are going on this journey alone. They they may find their task daunting. We mustn’t forget that we won’t do our task alone. A brother once said, “There are no Rambos in the Kingdom of God.” He’s right. 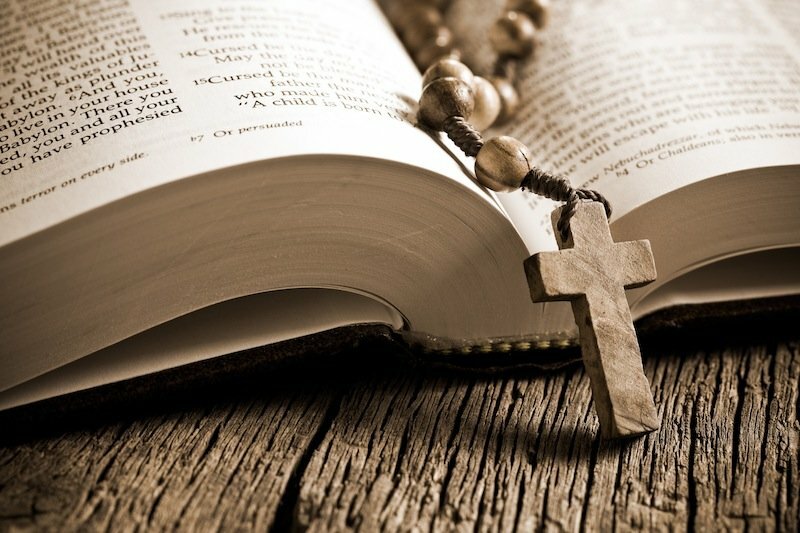 Time and time again, in the scriptures we see a pattern of connectedness between disciples in their mission for the Gospel. Paul gives Epaphroditus three titles: first, his brother, second, his co-worker and third, his fellow-soldier. Paul shows that in the Gospel work, not only should our connections be broad, but also deep. Paul reminds us that though we are separated by culture, race or country, we are united by the blood of Jesus. Jesus’ blood helps us to break through these barriers. On a One Year Challenge, you may be surprised at the level you’re able to connect with disciples despite the language barrier, by your common love for the Father. Family stick together, protect each other and provide for each other. On the mission, we are supposed to be that for each other. It’s a great joy to serve God together as co-workers. Co-workers for a company work for their company’s goal or to fulfil their boss’ expectations. They share the same concerns for their work. We work to serve our Lord together. If you work hard to be a good employee, how much more should we seek to be good “employees” of God! We get to share that aspiration together! We must also be cognisant of the reality that we are in a war against the dark forces of this world. As disciples we fight a common enemy and fight for a common purpose. Not only should we see each other as family, but we should also see each other as a band of brothers. Let’s take courage in the fact that we are not alone on the mission, and let’s aspire to be co-workers for the Gospel. We need each other to fulfil his Commission. This week’s Monday Music comes from Alabama, US. We have a great OYC site in Auburn. Brother Patrick Genova shares on Disciples Today how he has seen God provide for the needs of the church through brothers and sisters around the world — in this case in Madrid and Southern Connecticut! Ultimately, this was God’s guiding hand using all parts of his body to carry on his mission and show his love and care for all members of his body. 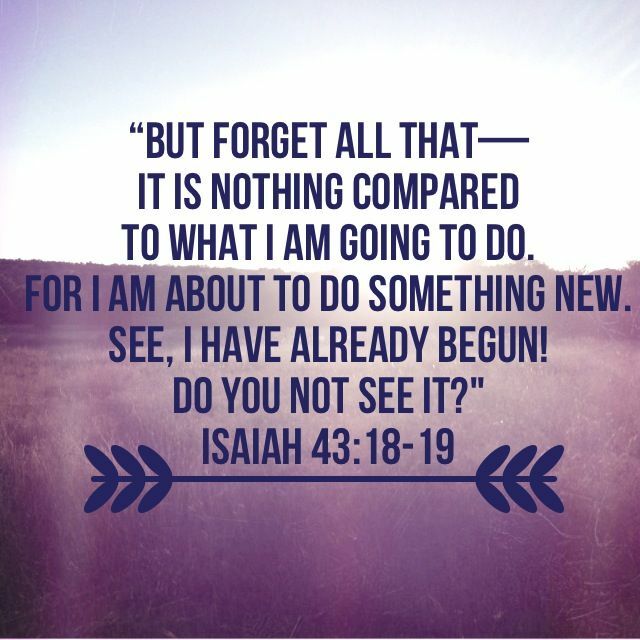 As disciples we are called to be apart of God’s “new thing”, as spoken of in Isaiah 43:18-19. So the former things were these: an exodus, a covenant, a house and a people who love Him. Don’t forget them. These very events are the back story—or we could say, the prequel—to your life and mine. This is our story. But it is not a “choose your own ending” kind of story. God is now in Christ pulling off an immensely greater rendition of these same things: an exodus, a covenant, a house and a people who love Him. To many, the first years of our movement seem like a tale taken out of a legend of heroes. We look back on the past with rose-tinted eyes; the years when 100 people would be baptized at once or the years when a church would double or triple in a single year. While we should honor the faithfulness of our brothers and sisters in the past and praise God for what He has done for us, we need to be careful of having anything but a Biblical interpretation of it all. If you talk to anyone who was baptized in the early years of our movement, they’ll probably tell you that God was behind it all, and that while they didn’t know what they were doing, they wholeheartedly served God and God blessed them. This view of the past is Biblical and God-honoring. In the same way, especially when it comes to thinking about going on a mission, we ought to have a Biblical view of things. We need to strive to have Biblical expectations for what we will face on the mission. Often times when considering going on a One Year Challenge, brothers and sisters may have varying expectations as to what they will face. They may think “It’s going to be hard, because I hear that people in said country are not open” and be discouraged or feel afraid. Or they may also think “It’s going to be great! I’m going to be fruitful!” and go to their OYC site with soaring expectations, only to be let down by the realities of ministry. While some parts of these expectations are indeed Biblical – that going on a mission is difficult, but it can be great and extremely rewarding – these thoughts are not fully based on the Bible. What’s remarkable about Jesus’ words in this passage, is that he was looking over the Samaritan countryside. You could say that that land was barren in two ways: one, that it was rural, probably with very little people (recall that the Samaritan woman had to go into the city to bring people to Jesus), and two, that he was looking at Samaria. The long historical hostility between the Jews and the Samaritans didn’t hinder Jesus’ view that the Gospel could flourish there. Jesus determined that a message, coming out of the mouth of a Jewish Rabbi, could not only impact the long hated Samaritans, but also the despised Gentiles and the whole world. Ultimately, this is because our message is God’s message. Let’s be weary of saying things like “people just aren’t open these days.” If Jesus said that even the Samaritan’s were “ready for harvest”, we should have the same view of our harvest fields too. No doubt, making disciples can be difficult and painful. The Bible’s farming analogies are appropriate, because they convey the experience of mission work realistically. In this Psalm, the scriptures tell us that there will be tears. As a farmer struggles for his harvest, many of us will face tremendous challenge against the ruler of the world to save some. We will hurt for deeply for those who reject our message, and we will mourn for people who abandon it. But the scriptures also promise that we will reap with songs of joy. The scriptures tell us of the reality that a big harvest is indeed coming. Not only will it be joyous, but also that when the day comes our hearts will be bursting with song. If you read just above the cited passage in Hebrews, you’ll see that God promises to shake away things that can be shaken away. God has indeed shaken us. The storm in 2003 (as most of us call it) was a time of God’s disciplining, but also a time when God shook away impurities from our hearts. He shook away our pride, our insincerity and our worldliness. And in some ways He still shakes us today. Yet what will remain is the Kingdom of God. What cannot be shaken is the Kingdom of God. Brothers and sisters, we can take courage knowing that through all of God’s discipline, what will remain is His kingdom. Our battle isn’t futile. What God builds through us will last forever. Let’s have Biblical expectations for the mission. Let’s have Biblical expectations for the harvest. And with eyes wide open, let’s submit ourselves in faith to God’s mission. This week’s Monday Music comes from China, where we have a great OYC site.